Republican opponents of a proposed federal minimum wage increase blocked Democrats from opening a formal debate on the issue in the U.S. Senate on Wednesday. Opponents of the increase used the threat of a filibuster to block the debate from the floor, at least for now. The defeat was expected. This is merely the latest round in an ongoing battle over the proposal by President Barack Obama to raise the minimum wage to $10.10 an hour, from $7.25 an hour. So, the formal debate was stopped in its tracks. Nevertheless, there was plenty of debate about whether to allow the debate. Here is a sample of views for and against the minimum wage, expressed on or off the floor by members of the U.S. Senate. 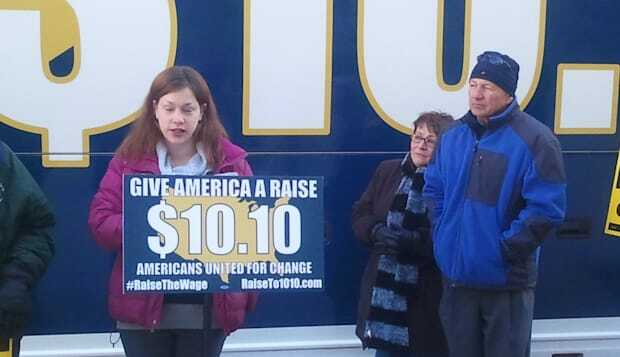 "The discussion before this chamber is whether to raise the minimum wage to $10.10 an hour. But, even if it passed, the real Obama minimum wage is zero dollars and zero cents. Far better than the promise of $10.10 an hour, is $46.98 – the wage Americans can earn in the oil and gas industry. We ought to come together with bipartisan unanimity to say we will stand with the American people to bring millions of jobs, raise median income and make it easier for people who are struggling to achieve the American Dream. We should all come together and vote on the American Energy Renaissance Act, to remove government barriers and open up new federal lands and resources to develop high-paying, promising jobs that expand opportunity." 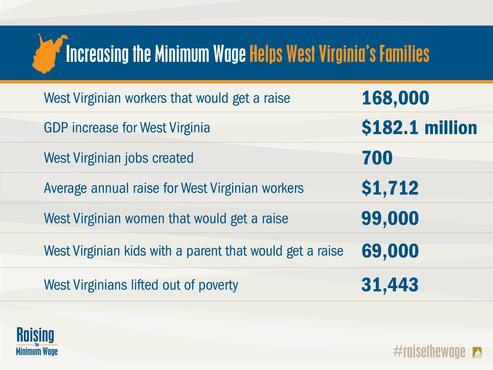 "By increasing the national minimum wage, we would not only help West Virginians and Americans receive a fair shot at building better lives for their families, but we would also boost economic prosperity and create jobs." "A minimum wage increase is said to benefit low-income Americans, but only $1 in $5 from an increase will go to families below the poverty line. And that is not all. In addition to cutting 500,000 jobs and providing 80 percent of the benefits to families above the poverty level, the Democrats' jobs proposal imposes one more burden on the only Americans who are capable of solving this problem, and that is the job creators." "Partisan politics have once again gotten in the way of strengthening our economy. Instead of lifting millions of Americans out of poverty and boosting the economy, my Republican colleagues have chosen to sit on the sidelines. It's past time to stop the bickering, deal with this important issue, and give the American people the raise they deserve." "It is a fact, an economic fact, that when you raise the minimum wage, the people that are hurt the worst are minorities and kids," Paul told a dozen business owners and officials gathered at the Louisville Plate Glass Co., 1401 W. Broadway, owned by GOP mogul Bill Stone. Instead, Paul said, the best way to lure investment to blighted neighborhoods is to dramatically slash corporate and personal income taxes in those areas. He has introduced legislation that would cut those taxes in ZIP codes where at least one quarter of the residents live at or below the poverty line, dubbed "Economic Freedom Zones." The American people–Democrats, Republicans and Independents–are telling us to do the right thing and ensure no one working full time is stuck living in poverty. I'm sorry we missed this opportunity today."